Combining mediums and inspiration from all areas of pop culture and beyond, Broc Randall has been honing his artistic craft for almost two decades. His latest show, “Art By Broc,” will be in the PAC Gallery during the month of June. 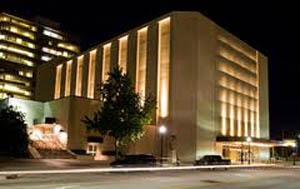 He received his bachelor of arts in graphic design from Northeastern State University in Tahlequah before relocating to Little Rock, Arkansas, to work for Dillards corporation. 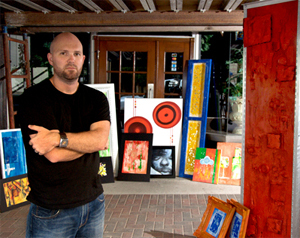 While employed there as a web designer for almost four years, he began creating mixed-media art pieces that incorporated everyday objects. Randall returned to the Tulsa area in 2006 as the webmaster for the University of Tulsa. His seven-year stint with the university led him into more digital art and imagery as well as continued work on his mixed media projects. Currently he is the owner/operator of SignBull and serves as the director of the Tulsa Geoscience Center in downtown Tulsa. The gallery is open June 1-29, Monday through Friday, 10 a.m. to 5:30 p.m. and during all Chapman Music Hall events. For more information, call 918.596.2368, or visit us at www.TulsaPAC.com and find us on all social media outlets. This entry was posted in Local, Out & About on May 30, 2017 by admin.